The cancer burden in all countries can be significantly reduced by ensuring the availability of, and access to, affordable early detection programmes for which there is evidence of efficacy in the population in question, including screening for breast, cervical, colorectal, skin and oral cancers. Awareness is the first step to early detection and improving cancer outcomes. Specific efforts are needed to raise awareness in the community and among healthcare workers that cancer outcomes can be improved through early detection regardless of the technique or the resource setting. The approach and scope of an early detection programme should be tailored to resources as well as cultural beliefs and practices, with the flexibility for governments to initiate and expand services as resource levels increase. Appropriate training of health personnel is critical in all settings but particularly in low-income countries where education of frontline health staff is a key component of a successful early detection strategy. For many populations, particularly in low-resource settings, the value of early detection and the impact of timely evaluation of symptoms on opportunities for cure and quality of life are poorly understood. 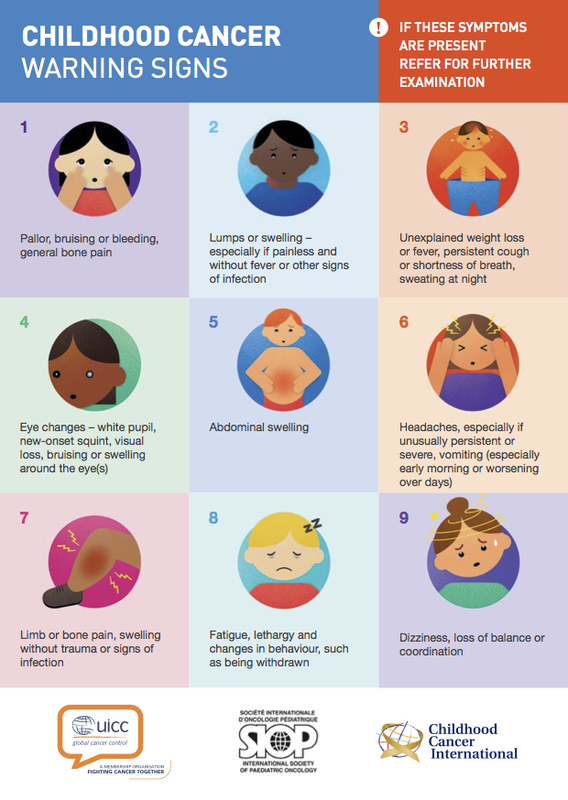 It is true that early signs and symptoms are known for many cancers, including breast, cervical, colorectal, skin, oral, and some childhood cancers and the benefits of implementing systematic approaches to early detection and care are conclusive. Proven, practical strategies for early detection of these cancers should be implemented in all resource settings and integrated into existing health services. For breast, colorectal and cervical cancers, there is robust evidence to support the implementation of population-based screening programmes that are tailored to the countries’ resources and burden of disease. Awareness is the first step to early detection and improving cancer outcomes. Lack of information and awareness about cancer is a critical obstacle to effective cancer control and care in developing countries, especially for the detection of cancers at earlier and more treatable stages. Equally important is the development of strategies to encourage help-seeking behaviour including awareness and education of ways to recognise the signs and symptoms for some cancers. Comprehensive early detection programmes should include strategies to improve knowledge of cancer among communities, health professionals and policy makers and increase awareness around the options for early detection of some cancers regardless of the resource setting. With few expectations, early stage cancers are less lethal and more treatable than late stage cancers. Target Population:Equipping primary healthcare workers with the appropriate knowledge and tools to recognise the warning signs and symptoms of certain cancers (oral, breast, cervical and paediatric cancers) is essential to reduce the likelihood of misdiagnosis and ensure prompt referral to specialist medical care at an early stage of the disease. Data Availability: Multiple publications show that early detection reduces mortality while being cost-effective. Even some cases does not require any specialist diagnostic technologies as is the case with inspection for oral cancers and clinical breast examination (CBE) for breast cancer. Critical issues for all screening programmes include selecting the test that is most appropriate for the context in order to achieve high screening coverage, high quality testing and reliable follow up. Ultimately, the success of early detection programmes can be measured by a reduction in the stage of the cancer at diagnosis with earlier diagnosis associated with a reduction in the risk of dying from cancer. Resources mobilisation: Investment in continuing professional development to equip healthcare workers with the appropriate tools and knowledge to recognise the early signs and symptoms of some cancers, as well as to perform appropriate early detection measures, is essential. In addition to conventional teaching methods, the utilisation of Information and Communication Technologies can address training and personnel gaps through multi-media tools in a cost-effective manner. According to 2012 Globocan data, Peru had an estimated 3,952 new cases of breast cancer and 1,208 deaths in 2012, with an age-standardized annual incidence rate of 28/100,000 women. Since, PATH has provided technical assistance to regional and national partners to introduce a model of care to improve access to and the quality of breast cancer screening, diagnosis, and referral for treatment at lower levels of the health system. Phase 1 of this effort, which concluded in June 2013, was implemented in Pacasmayo Province in the region of La Libertad in Peru.